【 Application】：Applies to mining, cement, coal, metallurgy, building materials, roads, fire, and other departments chronology medium hardness and brittle materials. 1. Suitable for grinding high hardness or brittle materials. 2. 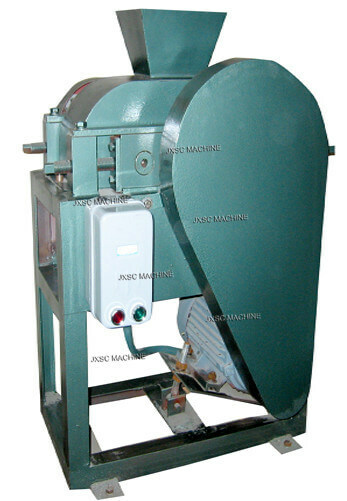 Continuous finish the crushing and shrinking, to avoid error by manual operation. 3. After the material shrinks, the sample is representative. 4. Sealed design, without dust pollution, easy to clean, environmental compliance. 5. Just lay it on a flat surface，no need for a firm foundation. 6. Customers can easily adjust the pressure according to the required particle size and feed strength. 7. Good performance, low energy consumption, low operating cost maintenance cost. 8. No humidity requirement for feed. 9. High damping rate, small vibration, less dust, low noise. Get to know more stone crusher products. We supply a variety of stone crushing machine applied to different industry. Coal crusher, gold ore crusher, metal crusher, rock crusher, wood crusher, and so on. 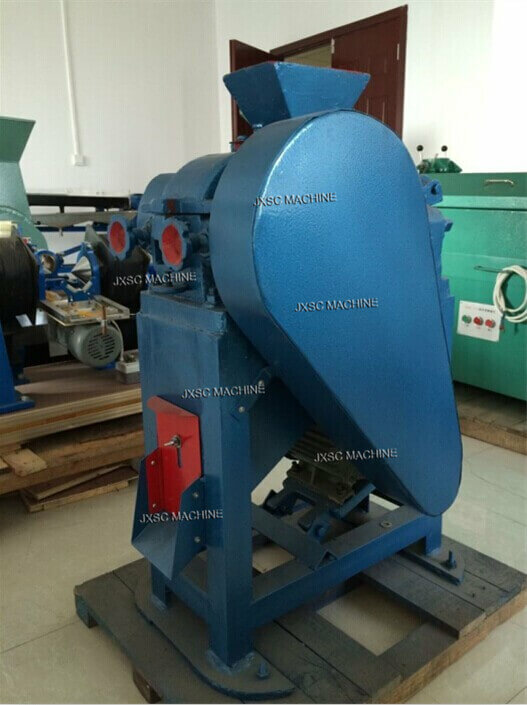 JXSC focus on the stone crushing machine since 1985，our gold mining equipment exported to more than 30 countries, worth your trust. 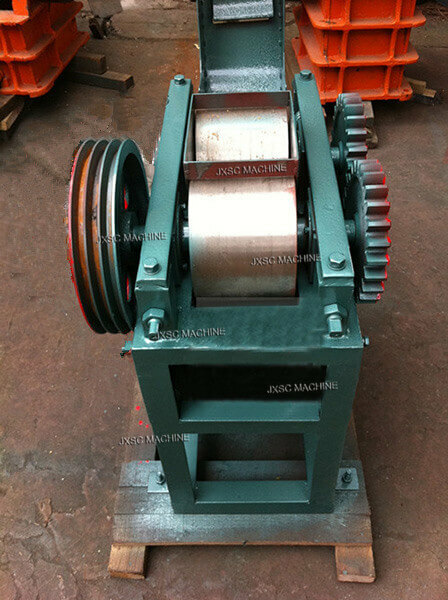 The laboratory roll crusher consists of machine body, rollers, and other components. 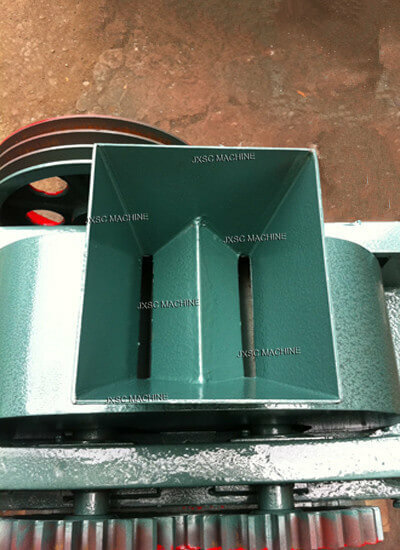 The spindle drive by V-belt from the motor, the roller operate according been turned trajectory, crushing the materials in the crushing chamber. Mini roller crusher is equipped with an adjustment screw in front and rear. 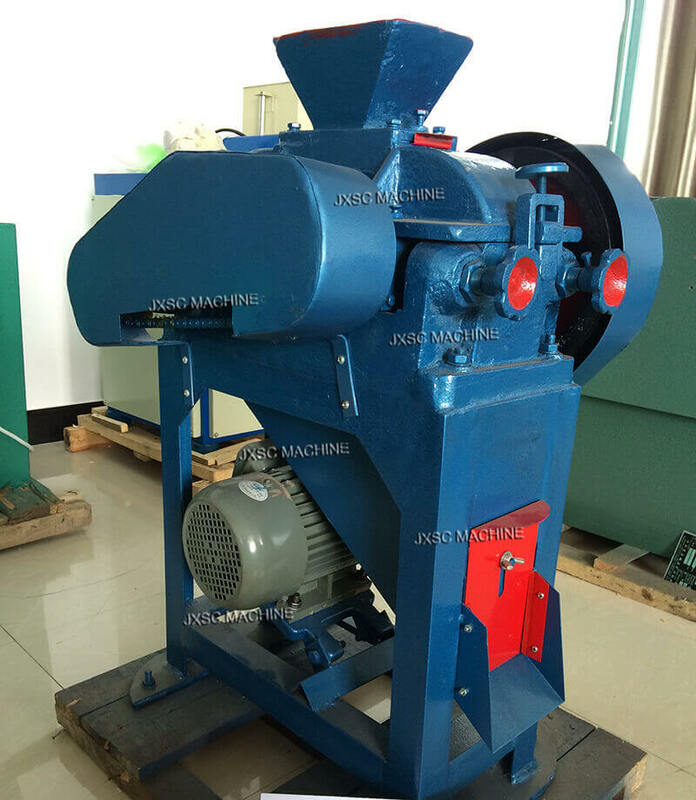 The laboratory double roll crusher left size with a shield to ensure safety, the machine with groove and bearing, the bearing can readily inject oil. Front mounted with hand wheel, sprockets, chain, and rear equipped with springs to easy adjustment, generally please don’t adjust it. In order to avoid failure and safe use the equipment, please attend the parallel when adjusting.